You are looking at a rare Octagonal silver Medal for Zeal. The Medal was instituted on January 27, 1841. The Medal for Zeal was most often awarded to enlisted men and non-commissioned officers of the Army and Navy for exemplary conduct over an extended period of years. It was also frequently awarded to civilians for loyal service of the state. 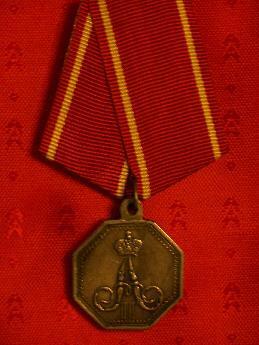 The obverse of the silver medal bears the crowned cipher of Tsar Alexander II. 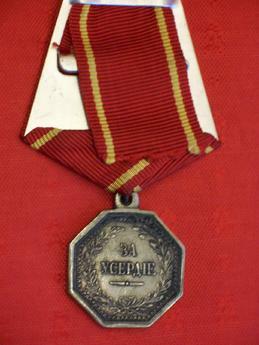 The reverse of the Medal appears the inscription: "For Zeal", with semi-wreath around it.